How much do you know about cavities? 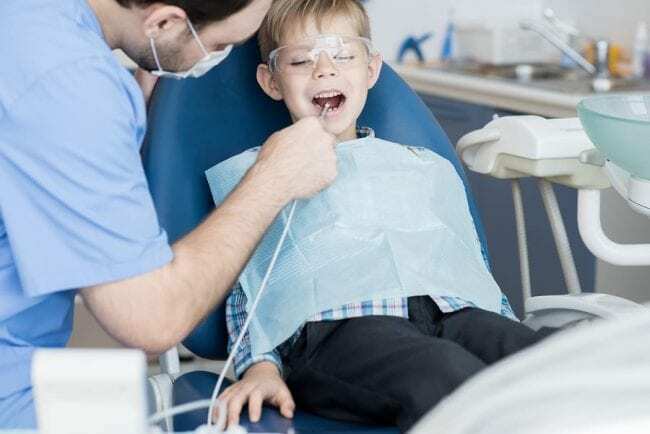 A cavity is an extremely common dental concern, especially for young children. But what causes them, how can they be prevented, and what should you expect during a cavity filling? We’ve answered all of your cavity questions and more to help you better understand your teeth and maintain the best oral care possible. First of all, what exactly is a cavity? A cavity is a large pit in your tooth that grows deeper as time passes. The earlier you catch a cavity, the easier it is to repair. What causes a cavity to form? Cavities are caused by plaque build up. Plaque is a sticky substance made up of germs and bacteria. It contains acid and eats away at your enamel, causing your tooth to erode and decay. A cavity is a product of this tooth decay. What are the typical symptoms of a cavity? These substances are hard to wash away with saliva, so they’re likely to linger on your teeth, leading to plaque buildup and enamel erosion. Brushing your teeth thoroughly keeps your teeth clear from plaque and free from cavities. You should give your teeth a scrub after consuming foods that are sticky, acidic, or high in sugar to avoid plaque build up. Fluoride is a natural mineral that prevents cavities and repairs early tooth damage. We receive fluoride through drinking public water as well as using certain types of toothpaste. Make sure your toothpaste contains fluoride with an ADA sticker of approval so you can boost your teeth’s health and keep the cavities away. Tooth decay is more common in teeth located in the back of your mouth, such as your molars and premolars. These teeth contain pits and grooves that easily collect food particles. This means your body isn’t producing enough saliva to keep your mouth properly lubricated. Dry mouth makes it hard to naturally wash away food particles and keep your pearly whites clean, increasing your risk of plaque buildup. Anorexia and bulimia can cause your teeth to become weak and lower saliva production. This makes your teeth more susceptible to decay and cavities. Getting in for regular checkups allows a dentist to make sure that your teeth aren’t suffering from plaque build-up and lowers your risk of developing a serious cavity. What foods should I avoid to reduce my risk of a cavity? A cavity filling takes about an hour. It repairs your tooth and fills in the area that was damaged. Your dentist will numb your affected teeth and any surrounding gums so you don’t feel any discomfort. Your dentist will then drill out the decay and replace it with filling. You may feel a bit numb for a few hours following the procedure, but soon your tooth will be back in tip-top shape! Remember, you can keep cavities away by maintaining regular dental visits! Get your pearly whites examined by the teeth experts at Cirocco Dental so you don’t have to worry about any plaque building up in your mouth.